220 gsm premium 80% cotton 20% polyester blend. 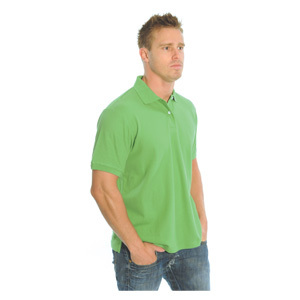 Provides soft cotton feeling, less shrinkage and colourfast. Pique knit, stylish semi fit. Colours: Black, Cool Lime, Cyan Blue, Navy, Ocean Blue, Olive, Orange, Red, Slate, White.